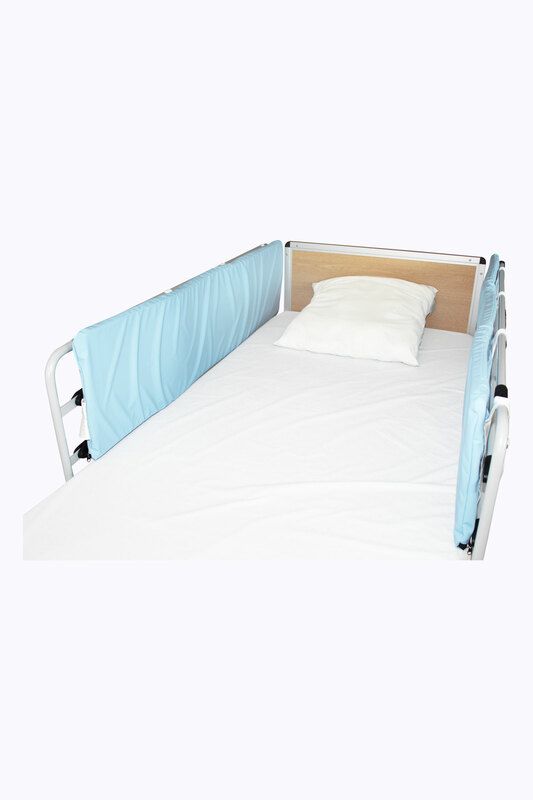 The Side Rail Pads are installed on the bed barriers as a prevention for the patient from moving its limbs through the bed rails and from direct contact with the frame. 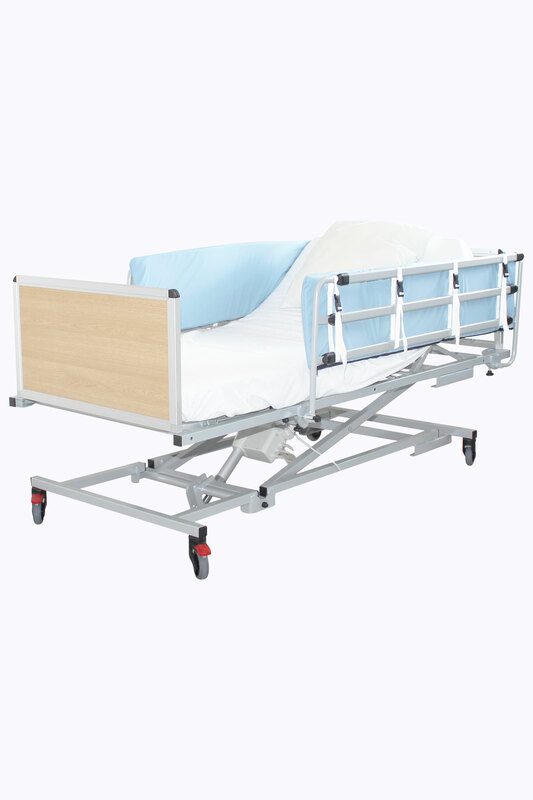 The quick and easy fixation to the side rails is made thanks to adjustable buckles (25 mm). 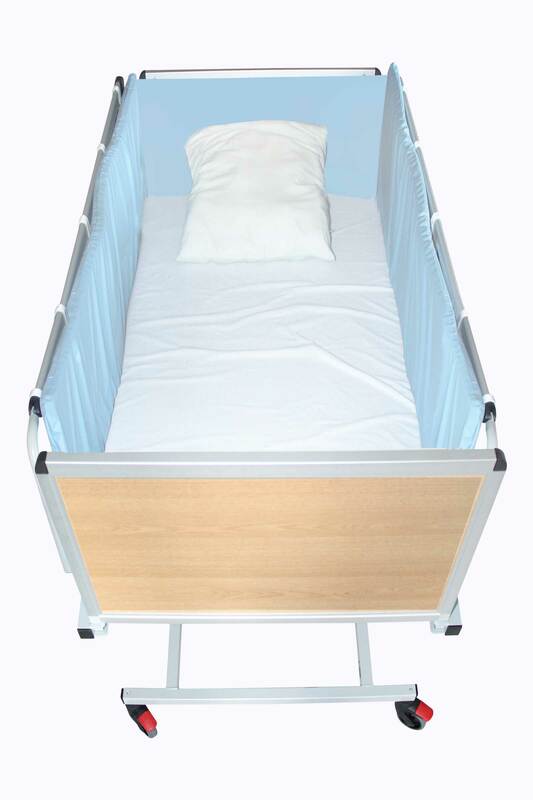 The removable foam cover is manufactured in a flame retardant fabric (classified CRIB 5). 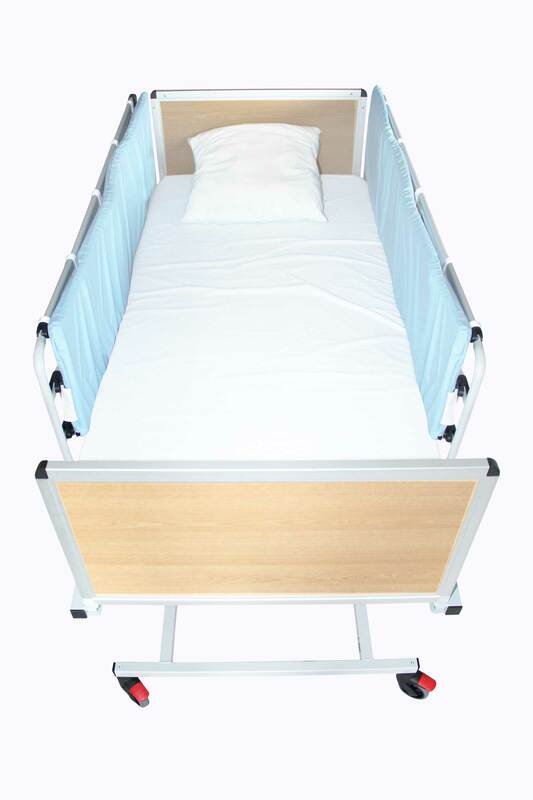 CE certified and manufactured in France, the Side Rails Pads are installed on the side rails and prevent the patient from bumping and moving its limbs through, thus protecting from contact with the metal part.